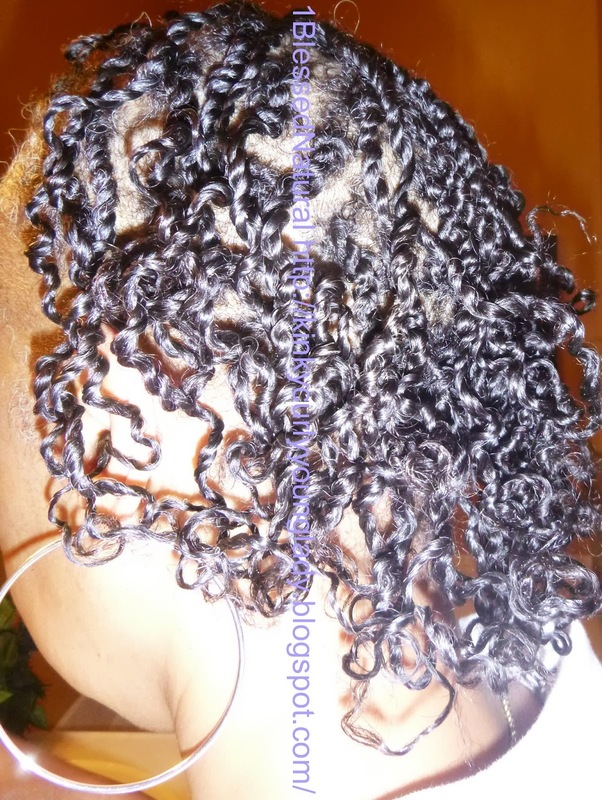 My sister C, liked my medium two-strand twist, pin curl out so much, that she asked me to do her hair the same way:-) It took me about 3 hours to finger part and complete twists which where a little smaller than mine. I used a spritz water bottle, Shea Moisture Curl Enhancing Smoothie, and Coconut Oil on her hair. When I was twisting her hair, C told me she wanted me to make a bang section in the front to hide her forehead a bit. Although her hair in the front is very long, I knew the pin curls would make it shrink up a bit. 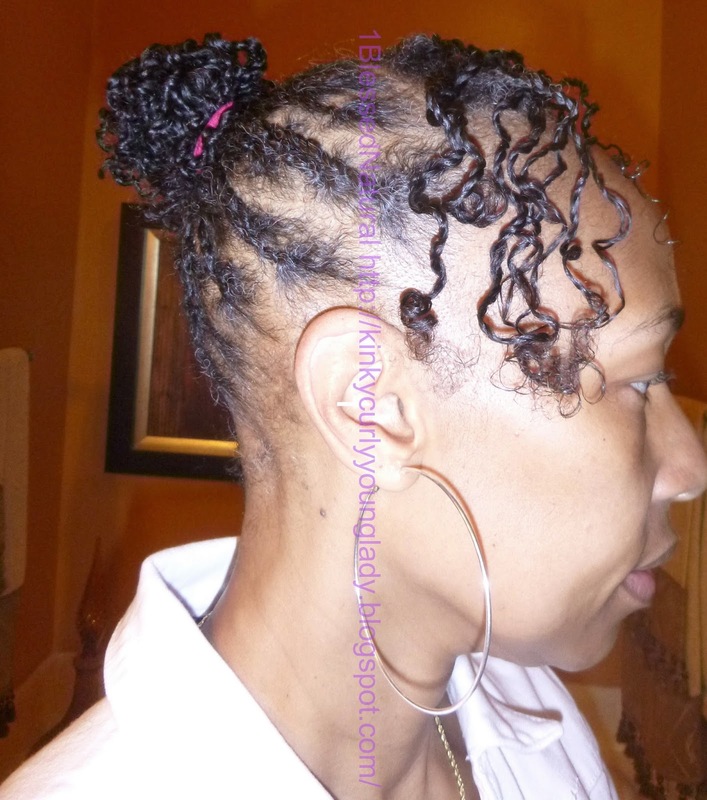 So, when I made the twists, I twisted them towards the front for her bang. Afterwards, I created 4 pin curls in her hair. She had 3 in the back and 1 in the front bang area. She kept her pin curls in for 1 night. In the morning, her hair was very full, bouncy, and soft We decided on the bun with bang hairstyle. 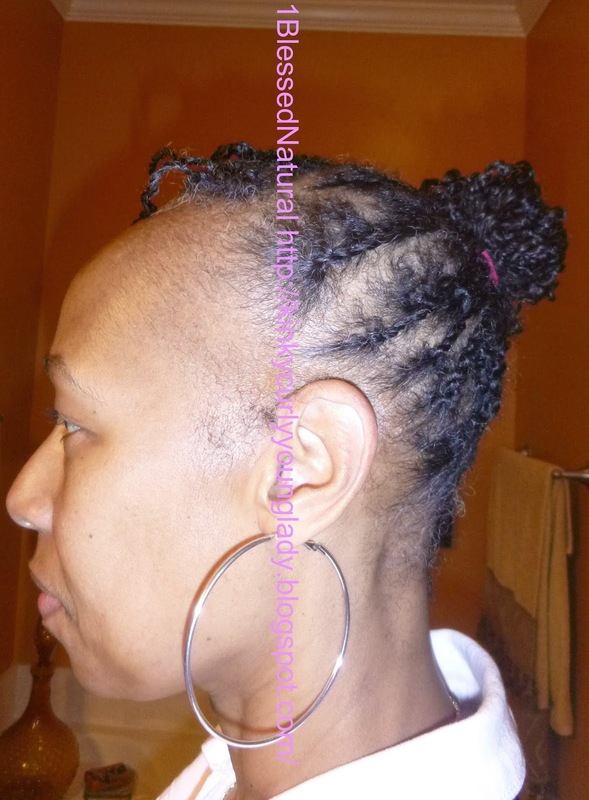 It's good because it hides her Traction Alopecia spots on one side, as well as the front of her head. You can see from the pictures that C wore big earrings. Those also distract your attention from her edges.